I’m always happy to check out new music. So when this dropped in to my playlist, it was nice. 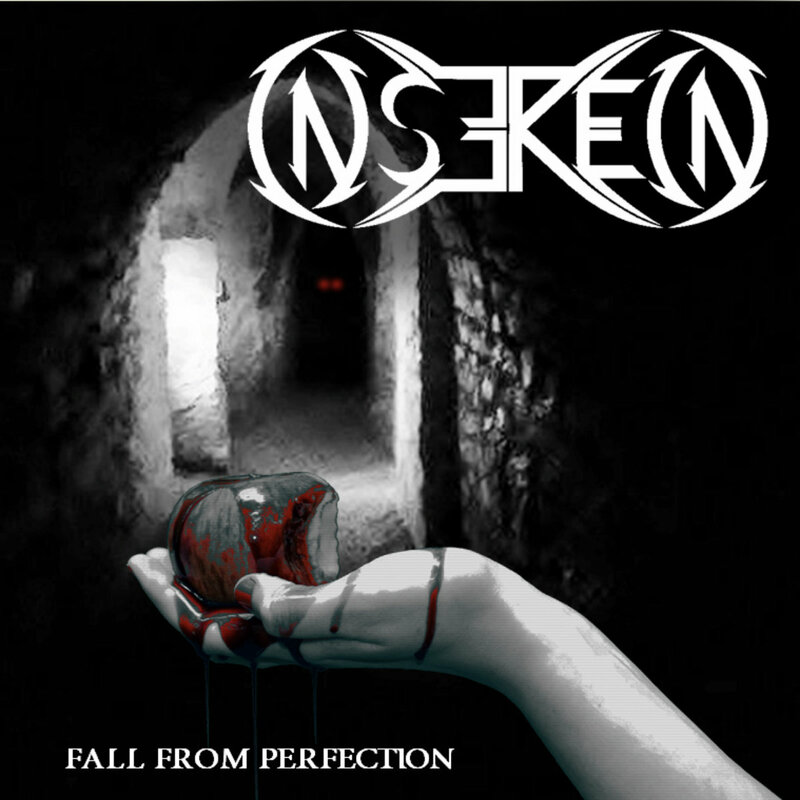 Inserein are a metal band from Reading who have a lot of potential, but still need a lot of work. From what I’ve heard here they have a lot of room to develop and grown. The music is tight with interesting lyrics and pretty good vocal work. This 5 track EP from them shows off their style very well and I felt like I got a good taste of what they can do. However it’s not the most engaging EP, I really had no desire to play it more than a few times, before I was able to pick the one or two track I really enjoyed. The riffs a tight on a few songs, I particularly enjoyed the tracks “Original S(k)in” and “Silhouette” for that reason, they’re just attention grabbing tracks with a fun tone and simple but effective lyrics. To be honest the EP has a reminiscent tone of old school, hard rock that clearly influenced the sound, and that’s rather pleasing to the ear. The EP also has some off-kilter songs like “Lithium Skies” that throws a complete curve ball because you don’t expect them to sound like this, with a creepy and eery tone in the verses. This also sounds pretty good. I said it before, but this isn’t very engaging. I can definitely tell this band will have it’s audience but I’m not sure if I would feel comfortable recommending this some people. It just doesn’t feel complete, yet it doesn’t leave me wanting more. There’s room for improvement but I’m not sure if this EP is evidence enough to continue listening and hear that improvement. The EP also feels very flat, the production could be better, and more rounded. Overall, this is OK. there’s really nothing that’s shouting out to me listen to this band. The riffs are decent and if they stuck more to a traditional rock style, or even gone balls out weird I’d be more inclined to recommend them, but as is, there’s potential and I’d be interested to hear more if they were a little more consistent. Deathstars and I go way back… I first discovered them in my late teens, back in 2003 when their debut album was released. I liked them then and I still like them now. This was actually my third Deathstars gig – I saw them at a festival once then again a few years later when they supported Rammstein. The last show I saw was at a massive stadium; a venue which though perfect for Rammstein, was way too big for these guys. They struggled to connect with the audience and looked uncomfortable when faced with such a massive crowd. Tonight was much better. The venue, Klubi was considerably smaller and packed full of eager fans. The night club Klubi offers more intimate setting that Whiplasher and his motley crew thrived in. They played a good mix of old and new tracks including ‘Explode’ and ‘The Devil’s Toys’ from the new album and several classics such as ‘Tongues’, ‘Synthetic Generation’, ‘Play God’ and ‘Blood Stains Blondes’. The two main highlights of the night for me were the ultra catchy ‘Death Dies Hard’ and one of my personal favorites ‘Cyanide’. Sparzanza are back. Well, have been back since March, when this 7th album of theirs, “Circle”, was released in the Northern countries. Now the stores in the rest of the world will have the pleasure of delivering it as well. They’ve been gradually hardening their sound in the last albums, so seeing them pushing the envelope and releasing their heaviest album so far, that wasn’t a real surprise to me. Yet “Circle” has Sparzanza’s typical dark groove embroidered all over it. With all that but featuring a more easy-going melody comes the next track “Underneath My Skin”, which was the rightful choice for first single, precisely due to the melodic part – it gives a more accurate idea of the album as a whole, which I believe is the main goal of a promotional single. “Black” would have been great for that purpose as well, its stronger bass making it somewhat heavier and the “church choir” hinting some spiritual sense to the melody. As for speedy songs, I must mention “Death Don’t Spare No Lives”. A very lively but groovy song, meaning the rhythm will hit your eardrums and embrace it at the same time. “Breathe” could have been featured in the soundtrack of a thriller, as the words I find to describe it are the same – exciting and suspenseful. And taking “suspenseful” as cue, let me tell you about the second single “Into The Unknown”. Now this is quite a piece of melancholic darkness! The double tracking of Fredrik Weileby voice, in a grave pitch and a higher one, is one of my favorite details, giving such richness to the sound. Especially when it’s not a through and through event, it only happens in some carefully chosen parts, enhancing the beauty of this song. The sadness in “As I Go Away” is a lot stronger, though, the piano and strings making sure to produce a melody as heartbroken as Weileby’s voice. Powerful ballad, this one. 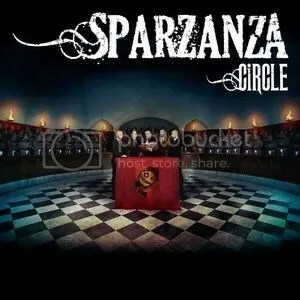 “A circle is not something that has one specific meaning – it has several, so let the interpretation of this be in the eyes of the beholder”, say Sparzanza regarding the title of this album. Well I choose the meaning of “completion” as this is what “Circle” is – a successful achievement by this great band. ‘XII:XII, A Priori Memoriaé’ is the 4th album from the Portland-based, American progressive rock band Echo Us. The band was formed back in 2000 as a solo project of Ethan Matthews (also in Greyhaven) and the original sound was more electronica than rock. This album is heavily influenced by 1970s progressive rock and artists such as Mike Oldfield. The tranquil, acoustic guitar driven opening track ‘Vestige‘ features an interesting mix of what sounds like a church choir, random vocal samples with some clean, melodic vocals towards the end of the song. One thing that puzzled me; the same thing which always puzzles me when it comes to progressive music, is that I didn’t even notice when the song changed. Exordium (Apologue) sounds like a continuation of its predecessor with only a handful of differences. For starters, this track has more keyboard elements and the main vocal style is soft and clean – very much akin to that of most progressive rock bands. The guitar structures are complex but melodic and pleasant to listen if you’re patient enough to tune in for the whole eleven minutes. This pretty much sets the tone for the rest of the album. As is often the case with progressive rock, the songs on here are complex in structure and there is a definite classical influence as well as an experimental flare evident in music. 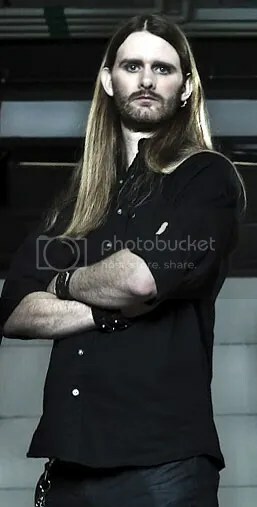 Some tracks such as Solum Vobis (Only You) have that stereotypical progressive rock feel to them due to the predominance of the guitars, whereas others such as the instrumental Memento lean more towards the classical music direction with the choir in the background. Then there are the tracks which combine these two distinctive styles such as Codicillus (From Far Away) which happily mixes electric guitars, keyboards and prog-rock vocals with a choir, harps and flutes. The aforementioned song also features some experimentation with the guitar which sounds a little odd and out of place at times. Then again apparently that’s not unusual when it comes to progressive rock. While progressive rock has never really been my kind of music, I can definitely appreciate the effort that went into making this album. Ethan Matthews is clearly a very talented composer and a gifted guitar player. ‘XII:XII, A Priori Memoriaé’ is a complex and extremely well crafted piece of music that will undoubtedly be a great addition to any progressive rock fan’s collection. Personally though I’m just not a fan of this style. 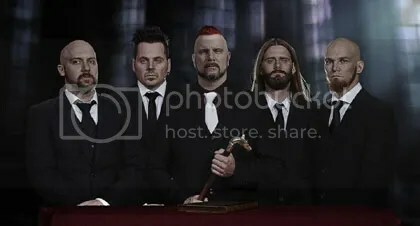 “Little did I expect to be working with the voice behind the death metal classic Lost Paradise, or the genre-defining Gothic and yet here we are decades later, fulfilling another death metal dream. With his sinister and ominous vocal delivery, it’s an absolute pleasure to make Old Nick the bell-ringer in Bloodbath‘s grand morbid funeral!”, adds Blakkheim. Like they say, it’s been almost 25 years since “Lost Paradise” and everybody knows that Paradise Lost doesn’t use growls anymore. Is “Old Nick” still up to it? Let’s wait and see! I’ve been a Sparzanza fan for some five years, since I’ve first heard “My World Of Sin”. That song was featured in their 4th album “In Voodoo Veritas” and they’ve released three more after that, none of them ever disappointing me. 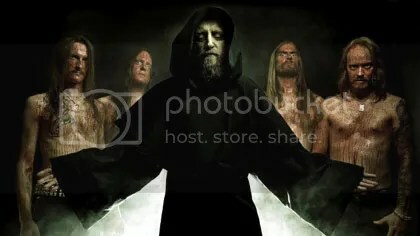 So I was more than thrilled for this chance to interview bassist Johan Carlsson and get to know a little bit more about their latest “Circle”, among other things. RL: Since this is the first time Valkyrian Music is talking to Sparzanza, I’d like to go back in time a bit. 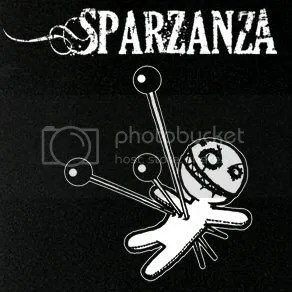 So my first question is… what does Sparzanza mean? JC: Well, it comes from some old Blaxploitation movie from the 70’s. I believe it was the name of a very unpleasant pimp. Although, it was a long time ago. It was the first singer (Peter Eriksson) who came up with the name for a song first, and then the band used it as a band name. Do not ask me what movie it was, ‘cause I have absolutely no idea! RL: You’ve been hardening your sound for some time now, but “Circle” is definitely your heaviest album so far. Was that intentional, at the beginning of the songwriting process, or it just turned out that way? JC: This time it was really not intentional. It has been intentional on some of the albums, but not this time. This time we wanted to make a great record and have absolutely no boundaries. We have experimented a bit more this time, different guitar sounds, tunings, double bass drums and stuff, but in the end the song is what is in focus. And has always been. We also wanted to have a more honest production, without too much overdubs and drum triggers and so on. More natural. RL: Still, you manage to always keep that “something” that identifies it as a Sparzanza song. How would you describe the Sparzanza sound to someone who has never heard you before? What would you say it’s your best quality in order to convince that person to go and listen to it? JC: I would say that it lies within the melancholy of the melodies. We have very strong melodies, which are very dark most of the times. Especially on the former album “Death Is Certain, Life Is Not” when we really dug us down into darkness. Still it’s not goth- or depressing music. It is really heavy hard rock/metal with great melodies. And with one of the best and most various rock and metal singers available (Fredrik Weileby). RL: That “trademark” sound is also heard in covers – five years ago, you’ve released your own version of Billy Idol’s “Rebel Yell”. How did that idea come about, to release it at that particular time and why that song? JC: We did it because we needed some attention at that time, actually. I don’t remember why we chose that particular song, but it might have to do with us thinking Mr. Idol is pretty cool. Also, since we wanted to do a cover a lot different than the original (otherwise don’t do it) and the production of that song is a bit lame, we thought we had something to work on. Our cover version, unlike other cover versions of that song, is very dynamic and has a cool Sparzanza feeling over it. RL: And if Sparzanza would ever do something like that again, what song would you like to cover? JC: Oh, that is a hard question. We actually talked about it the other day but never decided anything. Personally, I would like us to try a cover we did about 15 years ago – “Skirtlifter” by a band called Buffalo. RL: Like it’s said on the website, “a circle is not something that has one specific meaning”. Is that why it was chosen as title for the album? For its diversity? JC: Our street team, called The Black Cult was actually an inspiration. We wanted something on the cover that could be interpreted as a cult, something that is boiling underground without the public really knowing about it. The title is chosen out of that, and it’s a good title since it can be interpreted in several different ways. RL: Of all the meanings it can have, which one is your personal favorite? JC: The occult thing – a circle unknown to all! RL: And still speaking of favorites… which song of “Circle” do you like to listen to the most and which one do you like to play live the most? JC: Personally I think “Black” is a great song. It turned out one of the heaviest songs we have ever written. “Pine Barrens” is the coolest song to play live I think. The riffs are cool to play and it’s a great… no, it’s an amazing show opener! JC: There are only 24 hours in a day and 7 days in a week! We concentrated on the Scandinavian countries first and needed some more time to plan the release outside of Scandinavia. We are doing a lot of work ourselves. We have our own label who releases the albums outside of Scandinavia and with all the touring and stuff we did not have the time to release it properly until now. I hope it was worth the wait! RL: And can we expect live shows outside the Northern countries? JC: Hell yeah! Right now there are plans for shows in Germany, Spain and UK in 2014. Then we will do the Benelux countries as well as China in 2015. That is the plan now, but there might be additions to that tour schedule. RL: You’ve mentioned on Facebook that there’s a new song already, “Plainfield”. Was it born spontaneoulsy or are you already working hard on the next release? Is it too early to ask if you’ll keep on the heavy path of “Circle” or keep moving into something else? JC: We’re always writing songs. This time, though, it was a spontaneous thing. We have not started to write a lot for the next record, but there are always plenty of ideas to be worked on. I think it might be a little premature to talk about how the next record will sound, but it won’t be less heavy than “Circle”, I can guarantee you that! RL: In the band’s bio the drums are mentioned as being “in your face” in this album, and that the sound is different due to the “use of alternate tunings of the guitars”. Does this include the bass guitar or would you like to add something else about the input of your bass in “Circle”? JC: Well, since the guitars are tuned different I had to tune the bass different too sometimes. But I have been trying to keep the low tuning that I always use on my basses. It sometimes makes it harder to play the songs but the sound stays heavy. Otherwise than that I really like to keep both the playing and the gear pretty simple. Just the amps I always use, my Sandberg basses and a pre-amp, that’s it. Me and Anders (the drummer) also rehearsed by ourselves a lot this time before recording, to make it even heavier. RL: Well it’s been a pleasure talking to you! All the best with those plans!